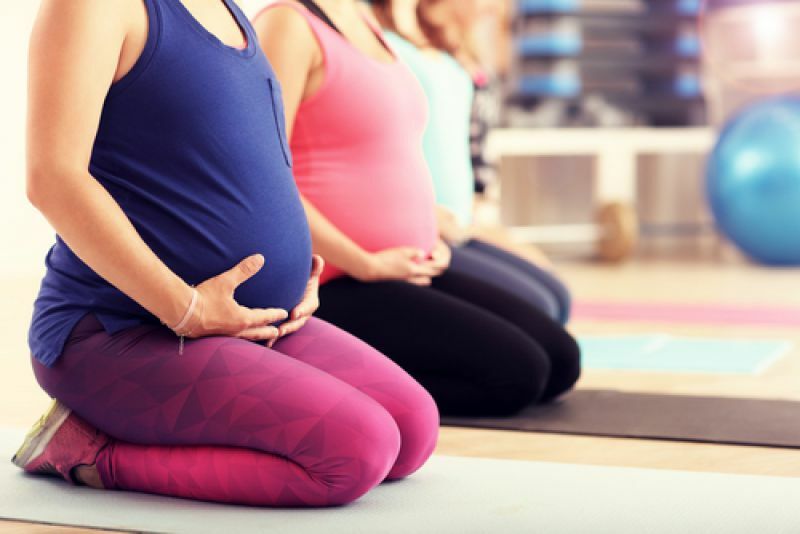 If you’re expecting a baby for the first time, you may be a little concerned about whether it’s safe to continue exercising and if so, which types of exercise are most beneficial while you are pregnant. Remember, pregnancy is a perfectly natural physical process and current NHS advice is that, as long as your health is generally good, the more fit and active you are during pregnancy, the less likely you are to gain excess weight or suffer complications. You will also be more physically prepared to cope with labour and more likely to return to a healthy weight after the birth. However, always take the advice of your doctor or midwife when you’re pregnant, especially if you have an existing medical condition. • Always warm up and gently raise your heart rate before exercising and cool down gradually afterwards. • Make sure you take some regular exercise every day – a half hour brisk walk to the shops and back can be enough, but try and fit in a bit more activity if you can. Moderate intensity is the aim. • Avoid exercising in hot or humid weather; try to fit it in early in the morning or later in the day, when it’s cooler. • Eat a healthy diet with lots of fresh fruit and vegetables and don’t “eat for two”. • If you join an exercise class, make sure your teacher is aware that you’re pregnant and how advanced your pregnancy is. You should also ensure that they’re properly qualified to advise you. • Try gentler exercises, such as yoga and Pilates, which will keep you supple and may ease back pain. Low-impact aerobics, strength training with weights, gardening and stationary cycling are also recommended, in moderation. • As you reach the third trimester (28 to 40 weeks) your bump may affect your balance and co-ordination. At this time water’s one of the best places to exercise, as the feeling of weightlessness eases pressure on your joints, back and pelvic floor. Prenatal water-based exercise classes, which your local pool may run, are an excellent way to meet other mums, exercise and socialise. • Swimming’s an enjoyable exercise when you’re pregnant, keeping you cool, boosting oxygen levels, strengthening your heart and stretching and toning your muscles. In the later stages of pregnancy, you may find swimming on your back and just kicking your legs more comfortable. • It’s better to avoid sports such as horse riding, skiing, gymnastics or cycling, where there’s a risk of falling, or contact sports, such as judo or kickboxing when you are pregnant. Exercise during pregnancy can reduce tiredness and improve your sleep, ease back pain, help with constipation, improve your mood and wellbeing and help you avoid problems such as high blood pressure and gestational diabetes, so it’s to be recommended. However, always stop if you feel discomfort or if you get breathless, dizzy or faint and speak to a healthcare professional if you have any concerns.